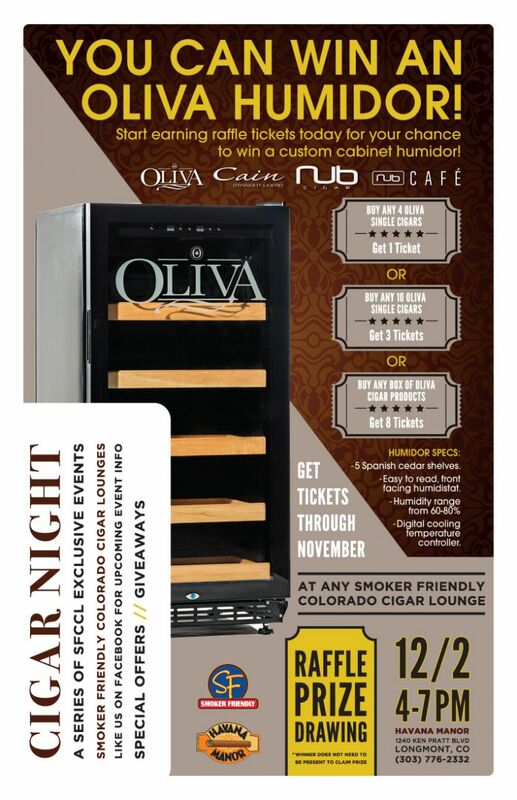 Enter Our Raffle for Your Chance to Win an Oliva Cigar Co. Humidor! Join us on 12/2 from 4-7PM at Havana Manor Longmont to enjoy Oliva cigars and be present for the drawing to pick the winner of the Oliva humidor prize! collect the humidor at another time. This entry was posted in Events and tagged Cigar Night, Oliva. Bookmark the permalink.